The first season of “Top of the Lake” series by Jane Campion that aired in 2013 was too good to miss, thus, the expectations for the second season were really good. Luckily, with Jane Campion on board, there is no chance that the season two would disappoint. Elizabeth Moss is back with her award-winning role, supported by an outstanding ensemble of cast, including Gwendoline Christie and Nicole Kidman and many others. Detective Robin needs a fresh start. The devastating events that came her way in New Zealand make her go to Australia. Ready to start a new chapter in her life, Robin returns to Sydney. However, nothing good waiting for her here. While Robin begins the investigation of a new murder case – an Asian girl is found dead in a suitcase on the beach. In addition, she has to face the memories of her past. Robin has given up her child for adoption years ago, who lives in Australia as well. Trying to find a balance in her life, she soon realizes the importance of her being home is almost an inevitable fate that she has to face in order to move on with her life. The episode begins with a group of people who quietly finish their evening meals. One of them notices a suitcase and points at it. A man gets up, grabs the suitcase but it is too heavy to be moved. Next, the suitcase is thrown into the sea but soon reappears with a dead body in it. Detective Robin is invited to the scene to begin her investigation. She realizes this is not going to be an easy case to solve. Especially, when the one she cares about the most, might be remotely related to the case. Julia, portrayed by Nicole Kidman, is Mary’s adoptive mother. Mary’s biological mother is Robin Griffin, who was only 16 when she gave her up for adoption. Julia and her ex-husband try to convince Mary to break up with her boyfriend Alexander, who is much older than her. Everything changes when the body of the dead Chinese girl is found on the beach. This horrific case becomes a black hollow that threatens to drag in everyone around. 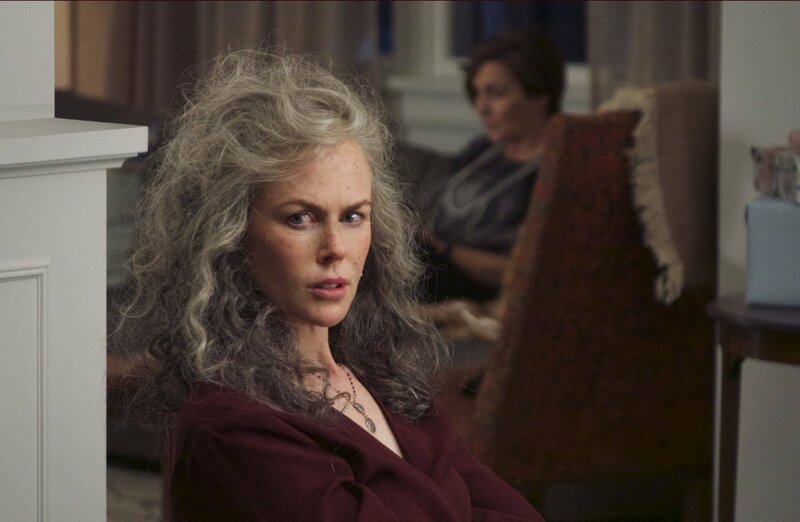 Jane Campion’s decision to wait for Nicole Kidman to be available to join the cast of “Top of the Lake: China Girl” proved to be justified. This character was not only written simply specifically for the Academy Award-winning actress, but she was perfectly able to fit into it. The truth is, Australian TV has always been strong and competitive. It always has something interesting to offer – mysterious, intelligent and wicked crime series loaded with the best cast possible. What happens in “China Girl” is no different. Yet, Jane Campion takes it much higher – turning everything she touches into gold. In conclusion, “China Girl” unfolds very slowly, and that it is what makes it even more compelling. One should not expect these series to be fast-paced. Because it never happens and will never work. Not in Australian TV shows, at least. Elizabeth Moss by reprising her role as Robin Griffin showcases an unbelievable amount of an emotional range an actress has. She is superb in every scene. David Dencik, who plays Alexander ‘Puss’ could not be more disgusting in his portrayal of a man who the one would wish to never cross a path with.